After recalling ex-Israeli PM at AIPAC conference, Clinton gets invite to Limmud FSU's event on female political leaders. 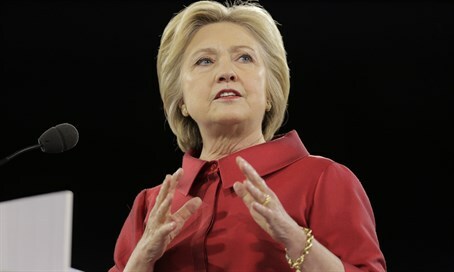 Democratic candidate Hillary Clinton has been invited as an honorary speaker at Limmud FSU's New York area conference. The conference, which will be held from April 1-3, is to feature the launch of a special photographic exhibition about the life of former Israeli Prime Minister Golda Meir, together with a panel on female political leaders worldwide. Clinton was invited after her statements last Monday at the AIPAC conference in Washington DC, in which she said, "some of us remember a woman, Golda Meir, who led the Israeli government decades ago and wonder what’s taking us so long here in America." In its photo exhibit entitled "Where are all the women leaders? A tribute to Golda Meir," which is curated by Yoram Dori, Limmud FSU is to celebrate Meir as the only female leader in the Middle East in modern history. Afterwards a special panel is to discuss the scarcity of female political leaders, and the impact of the situation on the world.